ISA submitted a request to Facebook that it take down the ISTEX page because its use of "International Suzuki Teachers Exchange" infringed on ISA's INTERNATIONAL SUZUKI related trademark registrations throughout the world. Specifically, ISA is the owner of over 50 trademark registrations and applications of the trademark SUZUKI combined with the word INTERNATIONAL for various goods and services, including printed music materials, books, recordings, musical educational/training services, and association memberships. The registrations include the US and over thirty countries spread over the five major continents, including all countries of the European Union (with separate country-specific national registrations in Germany, the UK and others), China, Russia, Columbia, and more. ISA regards its intellectual property rights very seriously, and consistent with that, takes all steps necessary to protect such rights and to prevent the unauthorized use of its intellectual property, including its trademarks. The ISA had contacted the administrator of the site previously about this issue several times, but received no reply. ISA first objected to the misuse of its trademarks and other intellectual property by the "German Suzuki Association" and Ms. Wartberg over two years ago in an attempt to resolve ISA's concern amicably. Those discussions were not successful and, therefore, ISA was compelled to begin taking action to stop it. ISA had no objections to the content of the Facebook page per se. The objection was to the use of "International Suzuki Teachers Exchange": namely, the use of "INTERNATIONAL SUZUKI" along with the descriptive terms "teachers" and "exchange" in the Facebook name, cover photo, wall posts, and photos. Such use not only copies and infringes ISA's INTERNATIONAL SUZUKI related trademark rights, but also creates the false and misleading impression of sponsorship by or affiliation with ISA, in violation of ISA's rights under the laws of all countries. 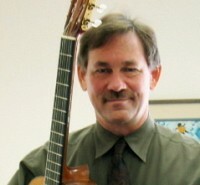 ISA has no intent to discourage teachers or proponents of children's music education from communicating with each other or promoting their events. In fact, there are many other existing, non-infringing online forums for such communication and promotion. The concern simply was the infringing use of ISA's registered trademarks. TERI is planning a Grand Concert celebrating the 50-year anniversary of the first Suzuki Method Tour Group to take place on Monday, March 31, 2014, in Tokyo's Suntory Hall. Teachers and students are invited to participate. Responding to requests from members, the ISA began working with Alfred Music approximately a year ago to make the Suzuki recordings available as mp3 downloads. We are very excited to let you know that, in the summer of 2013, recordings will become available at Alfred.com/downloads, beginning with the first volumes of violin, viola, cello, and bass. The request is in to iTunes and Amazon to also carry the recordings but Alfred has no control over when this will happen. For pedagogical reasons, the ISA made the decision that the recordings will be sold by book as albums, rather than as individual pieces. Alfred is pleased to make this option available. Also working with new technology, these same volumes will be released as ebooks later in 2013 through the Apple store. This exciting format includes the audio embedded on the page with the music. He was one of the original students of Japanese violinist Shinichi Suzuki in the Suzuki method of teaching and for the past 33 years has been passing on his knowledge to Australian students. Now Yasuki Nakamura, of Bayview, has been appointed an honorary Member of the Order of Australia. He was recognised for his service to music education, particularly the violin, through his contribution to the Suzuki Method in Australia and overseas. Dr. Suzuki developed the Suzuki method of teaching music, which is based on providing the right environment for learning music while also fostering good character in the students. "The aim is not just to train musicians but also to create wonderful human beings," Mr Nakamura said. "It can be used for music and for other areas of human education." Yasuki Nakamura was among 18 non-Australian citizens recognised for their services to this country. Mr. Nakamura has lived in Australia for 33 years. 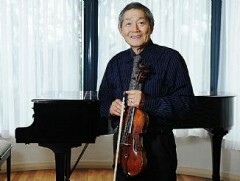 The last Suzuki Method World Convention took place in Melbourne, Australia, in 2009. The last World Convention to be held in Japan was in 1999, the year after Dr. Suzuki's death. For more information, see the 16th Suzuki Method World Convention website. The meeting opened with a welcome from ISA Board Chair Hwang, Kyung-Ik (ASA). It was followed by a greeting from ISA President, Koji Toyoda. Following the greetings, the board paid tribute to Nehama Patkin, ISA At-Large Director, who passed away last spring. Julia Breen was elected as an At-Large Director to fulfill Nehama Patkin's term which expires June 30, 2012. Paul Landefeld, current CEO of the ISA, was elected to the Board as an At-Large director, term July 1, 2011 to June 30, 2016. Hideya Taida (TERI) was elected ISA Board Chair for the term July 1, 2011 to June 30, 2013. 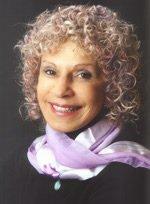 Pamela Brasch (SAA and current Board Treasurer) was elected Vice-Chair for the term July 1, 2011 to June 30, 2013. Paul Landefeld was elected Secretary for the term July 1, 2011 to June 30, 2013. Gilda Barston was employed as ISA CEO from July 1, 2011 to June 30, 2012. Among the topics discussed at the meeting were copyright issues with Suzuki publications, future world conferences and teacher trainer conferences, teacher training systems in the 5 regions, responsibilities of regional associations, regional association reports and instrument committee reports. Dr. Suzuki's name and method is known and respected throughout the world. ISA is the umbrella for the Suzuki world. Parents and teachers have the tools to educate children. The finest possible Suzuki materials are available. Suzuki ideas are shared internationally. Suzuki teacher training is available throughout the world. The next ISA Board Meeting will be held in Tokyo, Japan in October, 2011. Dr. Masaaki Honda, long a respected supporter and leader in the Suzuki movement, passed away on June 8, 2011. A memorial service and concert are scheduled on Monday, July 18, 2011. Gilda Barston is the new Chief Executive Officer of the International Suzuki Association as of July 1, 2011. Many thanks to Paul Landefeld, the previous ISA CEO, for all his hard work! In the wake of the earthquake tsunami, conditions continue to change in Japan from day to day. Earlier this week, the Talent Education Research Institute in Matsumoto (TERI) (the Suzuki Association in Japan) was able to determine that all Suzuki teachers were safe and that most Suzuki families were safe, as well. (Communications lines were down, making it impossible to reach a few families in the northeast area.) We are relieved that members of the Suzuki family are doing OK amid so much destruction. We are aware that Suzuki students throughout the world desire to express their concern and support for the victims of the earthquake, the tsunami, and the nuclear crisis. We encourage teachers and students to act in a way that they think is appropriate. Some studios and programs are planning practice-a-thons, play-ins, or other events; others are considering ways to pay tribute to Japan in their spring concerts. We suggest that teachers and families check with their regional or country associations for information about any plans being made. A memorial concert for Australian pianist and teacher, Nehama Patkin, will be held in Robert Blackwood Hall, Monash University, Clayton Campus, Victoria Australia on March 6, 2011. Nehama passed away on March 26, 2010 of a bone infection in her hip. She was 70 years old. Nehama Patkin was a devoted Suzuki teacher and teacher trainer, traveling frequently to institutes, conferences and workshops throughout the world. She served on the ISA Board of Directors as a member-at-large from 2007 until her death in 2010. With her passing, the Suzuki community has lost a dynamic and talented leader. She will be greatly missed. Frank's efforts distinguished him as an internationally recognized music educator. He performed and conducted teacher development courses and children's workshops on numerous occasions in Australia, several countries in South America and Europe and across the United States. His students have won prestigious awards including the Bay Area Unicef Concerts and the Junior Bach Festivals. He was featured in articles in Suzuki World, the American Suzuki Journal, Soundboard (the journal for the Guitar Foundation of America) and in an interview for Acoustic Guitar Magazine. For his dedication to the development of Suzuki Guitar School and the creation of the Longay Conservatory of Guitar, Frank was honored as a 2006 recipient of the distinguished Creating Learning Community award presented by the Suzuki Association of the Americas. John Kendall, 93, a violin pedagogue widely known for his role in introducing the Suzuki method of music education in the United States, died at Arbor Hospice in Ann Arbor, Michigan, on January 6. Mr. Kendall's health had been in decline after he suffered a mild stroke in November 2010. 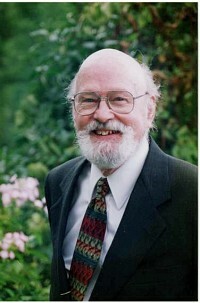 The International Suzuki Association mourns the loss of Professor John W. Kendall. Mr. Kendall was one of the founders of the Suzuki movement, bringing the Suzuki philosophy and method to the attention of musicians and educators throughout the world. His infectious personality and enthusiasm inspired thousands of students, teachers and parents. The Board of Directors of the ISA extends their deepest sympathy to John's family. We will always be grateful for his involvement and dedication to the Suzuki movement. His presence in the Suzuki community will be greatly missed. Boston, MA: Monday, October 12 to Wednesday, October 14, 2009. Reykjavik, Iceland: October 5-7, 2008. Books 1-3 of the New International Piano edition were published in May 2008, with new recordings by Seizo Azuma. The ISA's International Piano Committee met in Denver, Colorado in November 2008 to continue its work on books 4, 5, 6 and 7 of the piano repertoire. Further meetings are planned for July 2009 and October 2009. Previous meetings took place in Columbus, Ohio in September 2007 and England in October 2006 and in Turin in April 2006 during the Suzuki World Convention. The International Violin Committee met in Reykjavik, Iceland on 3-4 October 2008, continuing its work on preparing new editions of books 4-8 of the violin repertoire.